As Nigeria joins the global community in celebrating AIDS Day today, Shell Companies in Nigeria have restated their commitment to helping to contain the effect of the disease by raising awareness on its causes and management. Celebrations marking the World HIV/AIDS Day is being held amid reports that the disease had so far claimed more than 25 million lives around the world in the last three decades. The Shell Manufacturing Centre opened at NAIT on Thursday. Watching an automated manufacturing line are, from left, NAIT president Sam Shaw, Western Economic Diversification Minister Rona Ambrose, and Shell oilsands vice-president Brian Straub. ASTANA (Reuters) – Kazakhstan demanded $7 billion in compensation from an Eni-led consortium on Friday for delays in developing the huge Kashagan oilfield, a source close to the talks said as a deadline for a settlement was hours away. 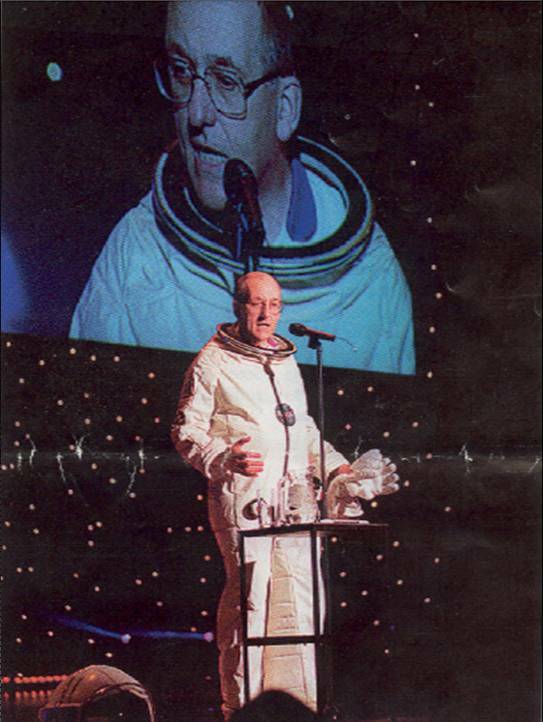 “SPACE, VISION AND STRATEGY”: Sir Philip Watts, sacked Shell Group Chairman who once donned a space suit at a meeting in Maastricht, Netherlands, in 1998 to pump up his troops. General David Greer took a different but equally amusing approach earlier this year before his resignation as Deputy Chief Executive of Sakhalin Energy Investment Company. TransCanada Corp. is among the companies vying to build a $30-billion natural gas pipeline to connect northern Alaska with the continental United States. NEW YORK (Reuters) – Russia’s Gazprom OAO (GAZP.MM: Quote, Profile , Research) said on Thursday it is not looking for foreign investment into two major Arctic projects on the Yamal Peninsula, but said it might welcome foreign oil companies at other fields there. Nov. 30 (Bloomberg) — The U.K. Treasury must simplify oil taxation to spur output from the North Sea after high operating costs discouraged companies from working there, a panel of lawmakers in Parliament said. The industry needs a more “consistent and predictable” tax system to ensure companies invest enough to keep undersea oilfields up to their potential, the Scottish Affairs Committee in the House of Commons said in a report in London today. ASTANA, Nov 30 (Reuters) – Kazakhstan is pressing ahead with closed-door talks with a group of Western oil companies to resolve a row over the huge Kashagan oilfield before the Nov. 30 deadline expires, a senior government official said on Friday. NEW YORK – OAO Gazprom, Russia’s state-controlled gas monopoly, plans to operate a natural-gas entity in the US by 2014 as part of its strategy to expand its business outside of Russia, its deputy chairman said at a press briefing Thursday. This is Vincent Cable’s moment. The Liberal Democrats’ acting leader has shown himself to be one of the classiest politicians in the Commons since he had to step into Sir Menzies Campbell’s shoes without warning last month. While the two contenders for the party leadership have been squabbling, their temporary stand-in has performed with authority and intellectual independence. The leaders of 150 major global companies have called for a legally binding and comprehensive international deal on climate change. In a communique, the businesses said they needed a mandatory agreement on emissions reductions to give them the confidence to invest in low-carbon technology. NEW DELHI: Global oil major Royal Dutch Shell will buy Bharat Petroleum Corp Ltd’s (BPCL) 49 per cent stake in lubricant marketing firm Bharat Shell Ltd (BSL) for Rs 152.40 crore. BPCL is exiting the joint venture company, floated in 1993 to market Shell branded lubricants in India, as it has developed a competing product. Sakhalin Energy, the operator of the Sakhalin-2 project, produced 1.68 million tons of oil in 2007 in its ninth production season, according to preliminary figures, the Sakhalin Natural Resources Committee told Interfax.